I recently reviewed some Bansko bars and restaurants which had music events that I had particularly enjoyed so far this season. Bars such as The Happy End, JJ Murphy’s first birthday party and the resident musician, “The Lizard” at Harry’s bar, have all shown what live music can bring to Bansko’s apres ski. 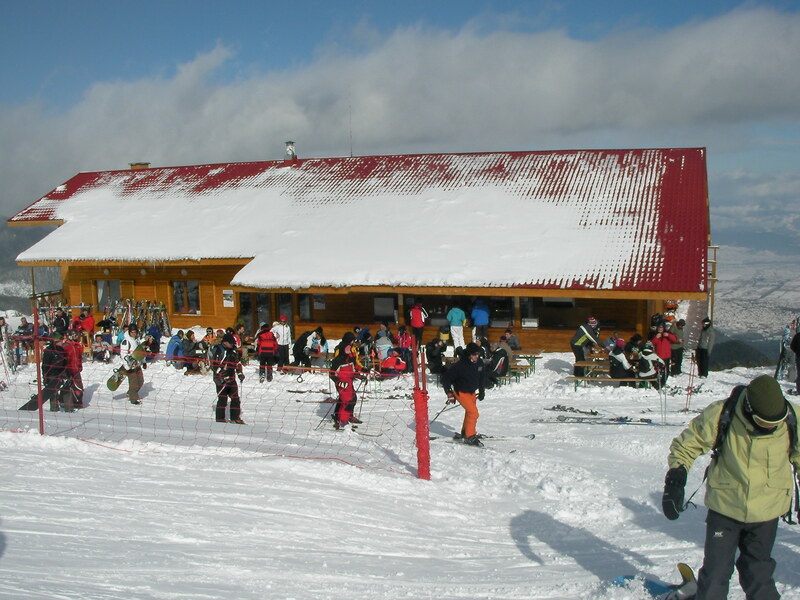 So what about all those mehanas, bars and takeaways that make the diverse choice that Bansko’s apres ski scene? Read on for my top 12 to see if they are yours too. I used my facebook and twitter this morning to guage some other’s opinion. But this list is mine and is influenced, or compromised, by something that makes me prefer a bowl of gruel than suffering the “smokefest whilst you eat” experience. And whilst I’m in rant mode… I really can’t stomach some local folk band blasting out some awful loud noise. Eventually I relent; pay them off whilst saying “no thank you, please move away”. Ok, I’m on a roll now…I never return to a place that serves up that special brew of unsmiling, unhelpful attitude garnished with a fair dose of grumpiness. I avoid anywhere with a annoying tout. Some of the touts in Bansko make me feel as if I’ve arrived in a tacky seaside resort — or Borovets. No thanks. 1. Peshterite (“The Caves”): Good kebabche and chips — possibly best I’ve ever had in Bansko. Well I think so after a good session on the mountain. Usually a tasty bob (bean soup), omelettes, salads, grills etc. All at a price I’m not allowed to mention. Wonderful outside in the sunshine. Located by second bridge on ski road (by the large advertising boards). Toilets are to be avoided. 2. Victoria Restaurant: Since my review when it first opened, Victoria still delivers. The Pepperoni pizza still hits the spot. Ask for the chili oil and for real mozzarella cheese. All dishes good. House wine is Telish and makes for a smart choice. Usually a no smoking section — that actually works. But not always. .Generally very good service. Opposite the Kempinski. 3. The Happy End: Okay it’s huge, but for live bands from the likes of Coco Mania, Awake, Ani Lozanova, “the Girl Band” interspersed with a respectable DJ in the distinctive form of “spike” and some dancing girls to distract it’s deservedly popular with all on Friday and Saturday nights. Food not so good. Drinks (Tubourg draft) a little pricey. Service much improved this year. Convenient opposite the gondola lift. 4. Harry’s Bar: Friendly upscale, usually not too smoky. Pizzas are good. Service with a smile here. Excellent cocktails. Not a budget destination. Music from “The Lizard” is always a joy and will play requests. Turn right by Friendly bar. Afternoon Lizard session at 16:30 is a good time. Recommended. 5. 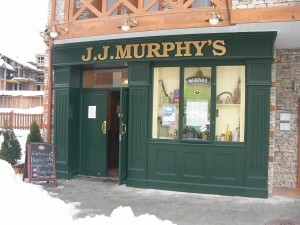 JJ Murphy’s: New managers finding their feet and offering a warm welcome. A good pint of Guinness. Beer, currently Shumensko on draught, at 2.50 lv for 500 ml. The ribs and potato wedges were very tasty on my last visit. A nice place for children and parents to go for early dining. Large no smoking area makes this a top no smokers destination. Located close to the Lion Hotel. 6. 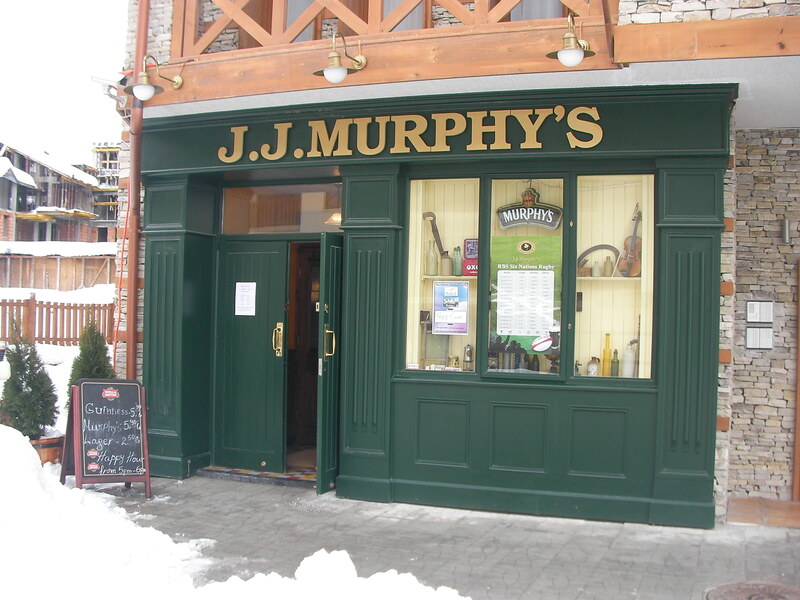 The Irish Harp : Visit for friendly service from English and Bulgarian bar staff. Fair beer prices. 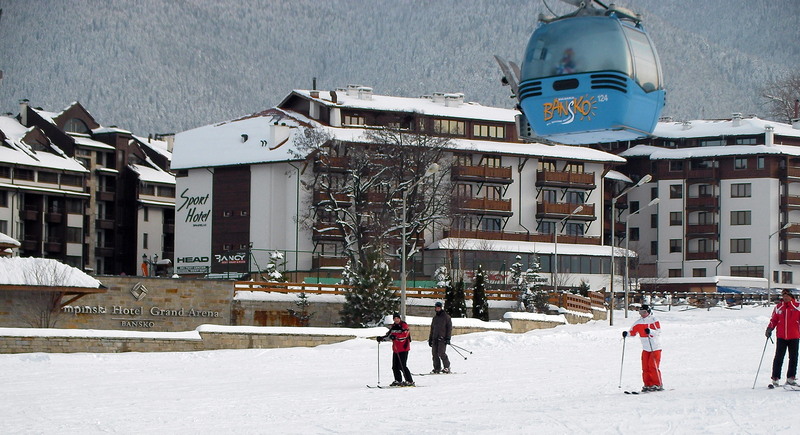 Find it in the Bansko App… but they will pick you up. Excellent food. 9. Todeva House: a mehana and a firm favourite. See Karen’s Todeva House review. I have not been this year, but others say it still delivers value and quality. 10. Dedo Kotse: a family owned and run mehana by the main square. Serves solid traditional Bansko fare. 11. The Avalon Hotel: every Thursday in ski season is curry night. Booking essential for James and Vania’s popular, and completely smoke free, curry nights. They set the no smoking standard. 10. Motikita: a popular mehana with superb starters, cabbage salad, peppers, salads all good. Respectable house wine, but a fabulous selection of top Bulgarian wines. 200 m up from Kempinski in left in woods. 12. The Banitsa Takeaway: Not a restaurant but had to add this as the best banitsa award goes to the little takeaway just behind the theatre. A fun place to hang out for five or so minutes. People watching local life, whilst munching on homemade 1 lv (1 EUR) banitsa. 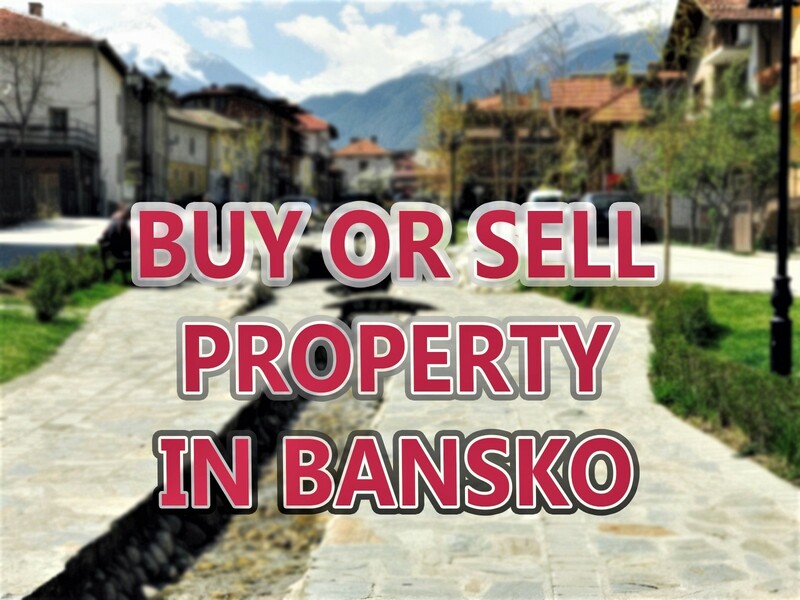 The best that you will find within 50km kilometres of Bansko? Nai Klub: Flourimont. An upscale Chalga franchise (well nothing that wrong with that). Nice sound system. Oxygen: Chico the DJ spins those tunes like pro. Huge loyal following and loved by many. Club Leglo: “Club Bed” in translation. Probably best if you are young, and from Bansko. Not open so often now. Payner Club: For the full chalga experience. Go when a top act like Preslava, Anelia, Kamelia etc are playing. Drink a lot. Sing Sing: Kempinski. Best piano bar (usually closed Monday and Tuesday, Wednesday). Tabu and iGroove resident bands are fabulous. Date for the diary. 17th March is St Patrick’s night. So JJ Murphy’s, being an Irish bar is a good option. The Irish folk music band booked for this special evening will be well worth seeing — it’s the same band that I saw play in Sofia’s JJ Murphy’s in January and there was a memorable good atmosphere. Would any of my top places features in your own list of Bansko apres ski restaurants and bars? Which ones should I try that I’ve missed out. I hear the Mexican is good near the Strazhite. please let me know what you think. We have thoroughly enjoyed meals at The Steakhouse attached to the Hotel Lazur further down from the Lion Bar on the same side as the bank. Food is very nice with good portions,excellent friendly service and not smoky! Prices have gone up a little on last year but still well worth a visit. Thanks for this recommendation. Sounds perfect… has anyone else tried this one? A decent steak can be just what's needed after a day on the snow. Thanks for your review. The growth of smiling and helpful service is one I agree with you completely. They are starting to learn how to serve well. Anywhere else you particularly liked? I was skiing in bansko last week and our favorite bars were Harry's Bar, fantastic music, and happy end was also lots of fun. many thanks for your view. As both Harry's bar and The Happy End are in my personal top 12 bars/restaurants then… I agree. Although Happy End best Friday and Saturday nights. I must also add that last night, at The Irish Pub, they served me and excellent pizza. Nice atmosphere too and popular with the British and Irish (of course). Hi Lance, just read your artical on ski mania. 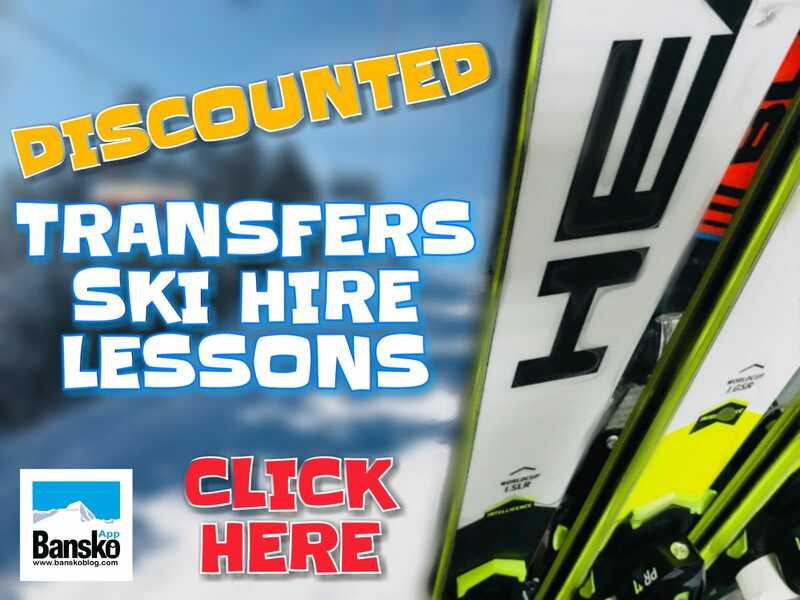 I have used this hire shop since my first visit to bansko 5 years ago and must say george and all his staff have been excellant. Although i have my own equipment i always hire for my daughters and various friends and have always had excellant service at a geat price. He has also always been willing to help with any problems. many thanks for your review based on many years of knowing George. 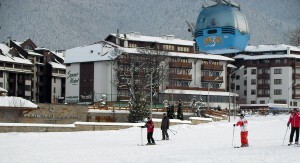 Where is the best places for family’s to eat and have a quiet drink in Bansko town? Hi Martin, Thank you for comment. One of my favourite places to have a quiet dink in the old town of Bansko is Seso Kotse. Located in the corner of the main square. coming out christmss, wil touch base on transfers and ski hire a bit nearer the time. just enquiring about bars and restaurants whats open and whats closed, any reccomenations. Also any good places for christmas day dinner good food and atmosphere.last point ,i downloaded your guide are updates on this come as further e-mails from you, speak to you soon. Hi Steve, Thank you for your question. I will be doing a round up of all places that are interesting. However if you like Victoria, located opposite the Kempinski, there is always a good atmosphere there. Other places which will be buzzing include Queen’s pub, Euphoria and several of the mehanas. Yes there are update emails thoughout the build up to the season. Stay tuned. Suggestion from others are welcome. The Crown pub was a great place to go. Discovered it in march 2011. Only went in in the early evening hours so it was pretty quiet but it was nice, the staff was nice and they offered you a free bowl of homemade chips when you ordered a couple of beers…LUSH. We went there everyday when we come off the slopes, ha!! We ate there one evening and it was simple food, bit like english ‘pub grub’ style . The Crown Pub is a firm favourite with many. I think there is a refreshed management there this year. So we’ll see how they fare. But as you say as a place early it can be quieter but later you’ll find a lively atmosphere and, as you say, pub grup style dishes. Live bands and central location means I’ll be there soon bringing back reports. Cheers for some of these reccomendations, going out again in Jan next year, staying at the Strahzite again so already know the evening food there is terrible! So will probally be eating out alot! One place we tried last year was the Stoneflower, which was a really bad experience. Poor service, they got our orders wrong, and one of our party had to wait 30mins till after everyone else had got their main meal for hers! Tried to complain to manager but he didnt seem to speak english! Hi Francis, You have plenty to choose from this year. There is the new Fat Red Duck chinese restaurant, by Pirin 75, The Lion’s pub (now refreshed with new paint), and the Steak House (best steaks in Bansko), all within just 60 metres from the Strazhite. At the Queen’s pub there is a new menu, events at 21:00 and a permanent magician. Live band expected most nights… under new management so one to test when it opens soon. 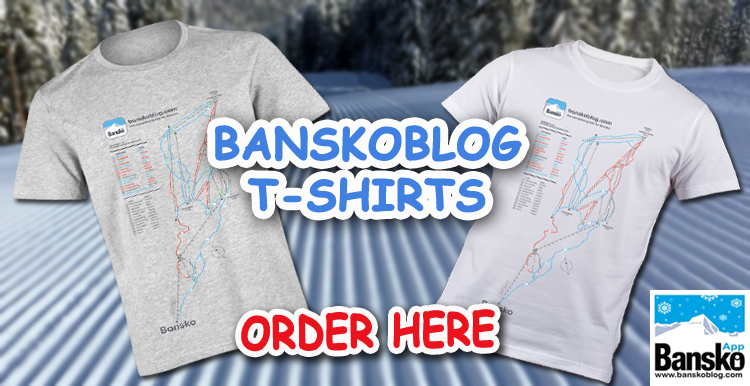 Stay tuned for the new Bansko changes coming soon! New Chinese restaurant sounds good, are there any decent Indian restaurants in Bansko? I think Mr Singh’s will be again in Bansko. Thursday and possibly Thursday nights at Avalon hotel. H Sveta, One place to check out is Queen’s Pub — the focus is on a party atmosphere. Live music, lots of entertainment and all inclusive food and drink, for 100 lv. There are many mehanas, but watch out — some are tourist traps. Molerite is v popular expect loud folk music and a local atmosphere. Thanks for the info, Lance! What do you think about Pirin 75? Could it be considered as a good option for NY night? I’ve heard a lot about the place, but not sure whether it would be that nice for that night. So, we are finally here, we have already been to Queen’s Pub, but the NY menu is not impressive there, I mean there is a lot of food (which we are not very interested very much at night), but thre are only 2 glasses of drinks included in 100lv. Do you have any idea what other place would be as nice? Not a mehana. We need to decide tomorrow or the day after tomorrow. Your help is much appreciated! Hi Sveta, I love Chateau Antique — just amazing food, perfect service and a wonderful dining room. I will be there again (very soon). I also very much like Amvrosia (at the Premier Luxury Mountain Resort) very much The Kempinski Come Prima is also a reliable choice. All will need booking very soon! All these are more upscale but I think offer good value for money. Other ideas include Bansko Royal Towers, Queen’s (yes 99 lv there’s but a lot included). Lots of choice still and personally I focus on the food rather than the entertainment — but we are all different and Bansko is now catering for a wide range of budgets. hI,IM IN BvANSKO FOR THE FIRST TIME TO WORK FOR THREE MONTHS..iM A LONE FEAMALE AND JUST WANT TO ASK WHERE I WOULD FEEL OK GOING FOR DRINKS OR EATS ALONE..iM ENGLISH BUT LIVE IN GREECE AND IM HERE WORKING FOR TWO GREEK GUYS,AND NEED TO ESCAPE SOMETIMES..LOL…tHAMKS ANGIE.. Welcome to Bansko! You can quickly find some good friends here. Go to Pirin 75 from around 9.30pm for drinks or try any of the other bars, Euphoria, Penguins, Harry’s bar, Amigos and so on… It is not intimidating here for single ladies and I there are all nationalities. Plenty of English especially from around the 10th January. You can always drop me an email I will happily introduce you to some friends here. Thought I would comment while im sat in the reception of Fortuna Apartments. My brother, nephew and I have been in Bansko for 4 days and I haven’t really got a bad word to say..
Penguins bar yesterday (Try the chicken skewer) it was lush, shame Wales lost against Ireland. 3 ate and a drink eachfor 55lev. also walking down towards lion on right there is a place think called Bulgaria Mehana (its a basement restaurant, shocked how big it is down there, nice wood burner smell as you walk in and traditional menu. 3 ate and a drink each for approx 50lev. On the look out for a good curry to dry me from the inside after being pelted with snow on piste and rain on the ski road, any guidance ? Mr Singhs and Avalon Hotel (Thursdays and some Fridays too) are both very good. Look out for my review on Chepishev (just across the river by the gondola) — impressed I was ! Mr Singh’s was very good for Service, food and the local beer is also good, although not much difference in price between local and Stella. Last comment I made I mentioned that I needed to book 2 days in advance for a table in The Victoria…. Well, what a disappointment that was. We sat there for at least 20 minutes making eye contact with all the staff and not even an order for drinks. Finally a guy turned up to take it. We were then told there is a 50min/1 hour wait on pizza because of deliveries. That was the last straw… we had a hungry 4 year old with us so we up and left. The fat red duck saved the night (second visit in the week very happy with service and the food). Hi Lance. Love the Blog..Myself and a pal are over in Bansko from the 16th March for a week of getting away from the Girlfriends and Skiing!! I’ve been before in 2011, but he’s never been. Is this a good time to come over? Are the Bars and Restaurants buzzing, and will the Skiing be any good?? You seem like a man in the know! Maybe we’ll see you around for a pint or two! I have visited the Penguins bar on a few occasions in the last week. Chris on the door is a great chap always happy and very willing to help where ever he can. The staff inside are also very friendly. Oh and if your looking to watch sports with your food this has to be the best place in Bansko 8 screens with the opportunity of 8 different channels at one time. Sad to be going home tomorrow. Hi mate, thanks for the hints, checked so far Harry’s, Happy End and Euphoria (the best so far). Curious about Queen’s Pub, I’ll see it 2morrow. Thank you for all you feedback. Be sure to check out my updates placed in https://banskoblog.com/2012/12/restaurant-and-bars-whats-new-for-the-season/ This is periodically updated to reflect my experiences out and about in Bansko. Okay. I’m here with my family & friends over the NY, This is my fourth time to Bansko. The BAR I highly rate is Harry’s Bar. Awesome cocktails, great assortment of local beers and imports, and good selection of spirits. This is by far (in my opinion) the best bar for early après ski with a young family. If you aim to be in the bar by 4.30-5.30pm and gone at about 7pm you can’t fault the place for a warm family welcome. It comes alive when the kids are safely tucked up in bed and has a very good crowd. Drink to the wee hours of the morning. Staff are always welcoming. Pirin 75 is okay. Not a patch on Harrrys (in my opinion). Pirin 75 has a young crowd. It’s more aimed at the young tourist market. Workers often meet there as they get discounted drinks. For the average Joe on a holiday I would say this is very mediocre. Prices are definitely aimed more at the tourist market. You can get better and cheaper elsewhere. That said, the atmosphere is second to none. It’s young crowd out to have a good time. Music is house, and hip hop. There is often entertainment in the street which you can view from the bar. It depends what your drivers are for a good night out. Can’t comment much on other bars as I have very limited experience. The steak house as you walk down Pirin street and Pirin 75 is on your left and the lion pub ahead of you and you bear right and about 25m down is awesome. If you want great steak at a honest price and with the best selection iof Bulgarian wine then this is the place to go. Wish I could remember the name!!?? Help, highly recommend. What to do for NYE 2013?! Was thinking Antique! 120lev per person. Consists of 3 courses, but still think that is a little steep. Might be the going rate. Don’t want to judge harshly as I’ve never been before but have had awesome reviews. Need a family focused environment were we can chill out relax, in nice surroundings, have a meal and maybe be entertained. Any ideas? Also, what should we expect to pay.